ABA is the first treatment recommended by pediatricians when a baby is diagnosed with autism. It is often paid for by insurance, school districts and other sources. It covers lots of hours. It gives parents a break. Who benefits from all this effort? And how much does it actually help? I have observed that it is big business, to the tune of billions of dollars a year. I have seen young practitioners open agencies of their own with only a few years of experience. So I want to do an informal, anecdotal survey. 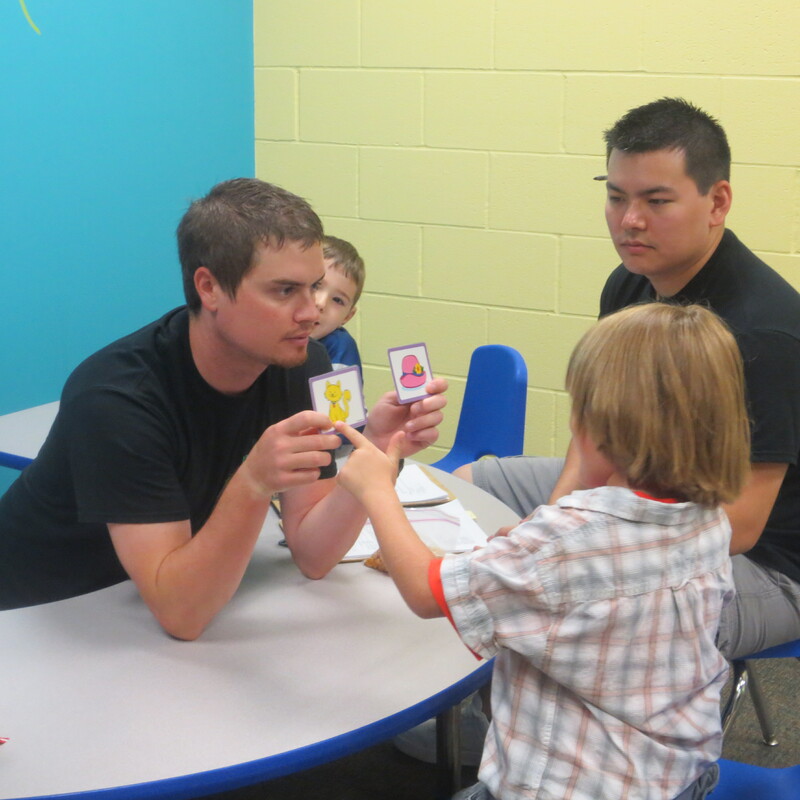 My personal experience tells me that ABA has been a source of suffering for a lot of nonspeakers- though perhaps others with different symptoms may be helped by the flashcards, the baby talk, and the “touch your nose,” BS. But for me, I get PTSD flashbacks just hearing the phrases, “High Five!” or “Good Job!” Thankfully, no one gives me a so-called neutral no anymore. I know so many people now, and there are more all the time, who had years of DTT and ABA –to great expense and parental commitment– who once they reach the age of no return are just written off into “dummy-land.” In other words, too “low,” too “severe,” to be “cured.” Because, after all, “recovery” is the promised land and the parents of the kid that fails to recover during that “window of opportunity,” is then told that the kid just isn’t sufficiently cognitively with it. Sorry for the inconvenience. It only took a decade to figure out. So, I’m curious, what was your, or possibly your kid’s, experience with ABA? How much did it help? Did it drive you nuts, like it did me, or did you not mind it? Please specify if the person who received the ABA is speaking or nonspeaking. I’d like to compare the difference in service satisfaction. I believe it is time to look at severe autism in a new way. The theories that determine treatment for young children are based on long held beliefs that autism is a processing problem of language and conceptual thinking.According to some theories we cannot recognize emotions, we cannot visually distinguish relatives and friends from other faces, or know right from wrong. Some have even declared that we even cannot recognize a human being from an object.That’s pretty bad, huh. Is this iPad living, or an object? Maybe incessant drills on flashcards will clear that up. Perhaps I have been introduced to all of you by an object, not a person. How can I tell that a person is not a machine? The same way that all of you can tell. I guess the solution for decades has been flashcard drills to drill on nouns, verbs, people’s names, commands, and on and on. It is a familiar start in life for a lot of us. But why should I be drilled on what I already know as well as everyone else? From my point of view, it’s a pretty insulting premise. To base a person’s education on these assumptions is risky because a boring day of ‘what is the weather?’ drills, or touch your nose lessons, does not teach what one needs to learn. I suppose if people really don’t understand, or cannot recognize the difference between mom and dad, or mom and a table, these common methods might help. But autism is not that disorder. The autism I have is not a language processing problem or a lack of understanding anything. I want this point crystal clear. My mind is fully, totally intact. In fact, my experience is that most nonverbal autistic people have intact minds too. Here is your challenge. Stop looking at our weird movements, blank faces, lack of speech, trouble handwriting, poor self control, and on and on, as proof of intellectual delay. It may look like it, but I think looks here deceive. Believe me when I tell you that if I could look normal on the outside I would do it immediately. I am normal on the inside. That’s different than what people with Asperger’s say, or what Temple Grandin writes in her books. But that’s because Asperger’s Syndrome in severe form is not what I have. I hope that’s clear because it confuses many professionals. Different neurological problems have the same DSM diagnosis. That’s confusing. I think it would be like putting AIDS and head colds under the same heading because they’re both viruses. Too much is covered under the heading, Autism Spectrum Disorder, and this misleads an understanding of what I have. So now, let me tell you what I have. Autism for me is a severe problem. How would you like it if your thoughts didn’t reach your body consistently? What I mean is that your thoughts are intact but internally neurological forces block them from your motor system so that messages get messed up, or ignored, or occasionally they get through. That can resemble not understanding, but it is not. Nevertheless, the person cannot necessarily demonstrate intact thinking due to the motor issues that block speaking, handwriting, gestures, facial expressions, initiating actions, and more. So, smart intact people may spend years, or even their whole lives, in a body that traps them behind weird movements and unreliable, inconsistent responses. More than that, neurological forces may affect the sensory system, making sounds too loud or visual stimulation overwhelming. The frustration is compounded by autism experts who dumb down learning because of their belief that autism is a language processing problem. When I was young I did ABA. No offense to any ABA people here, but for me it was a horrid experience. I found those early years of drills and reinforcements an exercise in boredom because I already knew the vocabulary they taught. I just had unreliable hands to point to the flashcards accurately. The baby talk, and most frustrating, the supervision sessions that never worked on my real challenges, made me feel frustrated and angry. Worse, the theories probably delayed my mom’s ability to recognize my true potential by several years, at least. No offense to any Floortime people here, but I never got much out of my sessions because my play was so delayed when I was small. I craved more than the games I got. But my Floortime was minimal. I was drowning in ABA drills instead. No offense to OT people here, but what I desperately needed was motor control and physical fitness, and I never got that. I got swings that spun me. Once until I barfed. No offense to special ed teachers, but when I couldn’t show my intelligence, I still was thinking. But all I got was one plus one, ABC and the weather. My recommendation is to teach at least some age appropriate lessons and books, even before the student can express his thoughts. Who knows how much is locked inside? My helpers were kind and well meaning, but the way I was taught missed my real needs for communication and motor control simply because the methods assumed I did not understand spoken language and therefore needed a rudimentary lifestyle. What helped? Soma did. She gave me the ability to type on a letter board when I was seven through her method, Rapid Prompt Method, or RPM. This has progressed to a keyboard and ipad. Because of this, I am a general education student, college bound, on the high honor roll in AP classes and even learning a foreign language. I work out with a trainer and I hike and run and row on a machine at home. I also took piano lessons. These things helped me. To all the professionals I offended earlier, sorry. I admire your devotion, compassion and caring. I challenge you to see your nonverbal autistic students differently and with high expectations for learning. Parents, don’t give up hope. If you see intelligence, even if brief, then intelligence is there. It’s most likely inconsistent because of those frustrating neurological forces I mentioned. Communication is a blessing. Lack of communication is a curse. Let’s give kids the blessing of communication and a real hope for tomorrow. Every day I meet new communicators. Not babies, but kids in elementary school, teens and young adults. Their lives had been limited in one way communication for way too many years. They listened but they had no way to answer. In any case, they heard people. Many of them heard their parents moan and groan and say comments like, “I don’t know how much intelligence is there. I don’t think he understands much.” They listened to their teachers say things like, “He isn’t aware of right from wrong. He isn’t aware of his surroundings. He is oppositional today.” They listened to ABA specialists tell them, “No, try again,” “No, try again,” “No, try again,” and “High five. Good job.” They heard a world that thought they were dumb. But the world in this case was wrong. It isn’t a lack of intelligence to be able to think but to not be able to get your body to show it. It is being trapped. If I put your hands into baseball mitts and your tongue was trapped in gooey sludge and couldn’t move right and I bombarded you with questions, I think you would agree you would have a hard time showing that you had an intact mind, especially if those baseball mitt hands moved differently to your thoughts and wishes sometimes, and everyone assumed that people with sludge tongues and baseball mitt hands were intellectually low. I know the way to escape this isolation is not to tell sludge tongues and baseball mitt hands to move in ways they can’t. It is to teach those hands to point to letters, to type with one finger and to communicate. There is now a steady tide of people, once thought to be dumb, once thought to need baby lessons and baby talk who are mastering communication on letter board and typing. And voila! Not dumb! More than anything they find relief being recognized as intelligent. And some find even more; a mission, friendship, a life of meaning. But none will go back into the closet of silence. I wonder if you are a parent, teacher or professional and you have seen a “dumb” kid prove himself smart, how do you react with other kids? How long should they wait for you? The theories regarding autism have been based on observation of our odd behaviors. Lists of these behaviors make a diagnosis. I have limited independence in selfcare. I have limited eye contact. I have flat affect often. I can’t express my ideas verbally. I have poor fine motor control. I have impaired initiation. I have impaired gross motor control. I have difficulty controlling intense emotions. I have impulse control challenges and self stimulatory behavior. Whew. When I write that it sounds pretty bad, but I function adequately in this world. I am now 17 and I am a fulltime high school student in a general education program. I am in Honors Chemistry, Honors US History and Honors English. I am in Algebra 2, Spanish and Animal Sciences. I get straight As. I work out with a trainer 2 or 3 times a week to get fit. I study piano. I hike, cook, and help take care of a horse. I am invited to speak at universities and autism agencies. 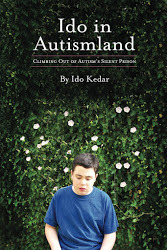 I am the author of Ido in Autismland, and a blogger as well. I have friends. 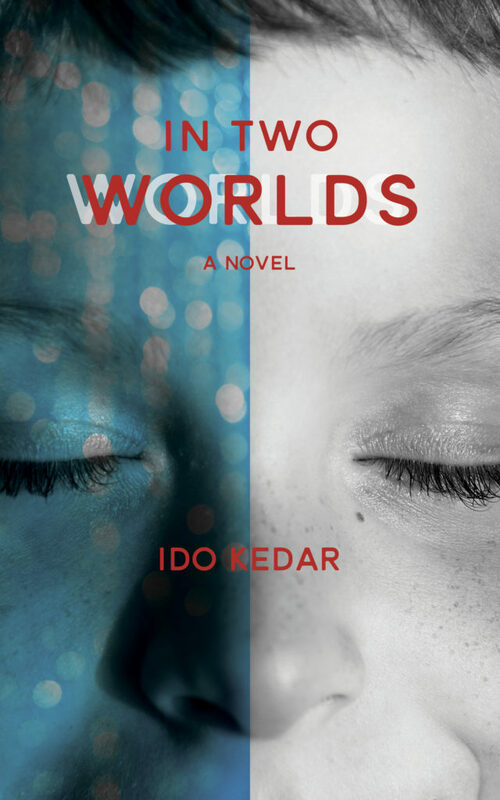 I say this, not to brag, but to let you know that people like me, with severe autism, who act weirdly and who can’t speak, are not less human, as Dr. Lovaas suggested, and are not doomed to live lives of rudimentary information and bored isolation. ( “You have a person in a physical sense — they have hair, a nose and a mouth — but they are not people in the psychological sense,” the late Ivar Lovaas, a UCLA researcher, said in a 1974 interview with Psychology Today). I communicate by typing on an iPad with an app that has both word prediction and voice output. I also communicate by using good, old-fashioned letterboard pointing. If I had not been taught to point to letters or to type without tactile support, many people would never have realized that my mind was intact. My childhood was not easy because I had no means to communicate at all, despite my 40 hours a week of intensive ABA therapy. I pointed to flashcards and I touched my nose, but I had no means to convey that I thought deeply, understood everything, but was locked internally. Meticulously collected data showed my incorrect answers to flashcard drills, but the limitations of theory are in the interpretations. My mistakes were proof to my instructors of my lack of comprehension or intelligence, so we did the same boring, baby lessons year after boring year. How I dreamed of being able to communicate the truth then to my instructors and my family too, but I had no way to express my ideas. All they gave me was the ability to request foods and basic needs. Here is what I would have told them if I could have when I was small. My body isn’t under my mind’s complete control. I know the right answer to these thrilling flashcards, unfortunately my hand isn’t fully under my control either. My body is often ignoring my thoughts. I look at my flashcards. You ask me to touch ‘tree,’ for example, and though I can clearly differentiate between tree, house, boy and whatever cards you have arrayed, my hand doesn’t consistently obey me. My mind is screaming, “Don’t touch house!” It goes to house. Your notes say, “Ido is frustrated in session today.” Yes, frustration often occurs when you can’t show your intelligence and neurological forces impede communication between mind and body and experts then conclude that you are not cognitively processing human speech. In my childhood I feared I would remain stuck forever in this horrible trap, but I was truly fortunate to be freed when I was 7 when my mother realized my mind was intact, and both my parents searched to find a way to help me communicate without tactile support. Thousands of autistic people like me live life in isolation and loneliness, denied education, condemned to baby talk and high fives, and never able to express a thought. The price of assuming that nonverbal people with autism have impaired thinking is a high one to families and to people who live in solitary confinement within their own bodies. It is high time professionals rethought their theories.